Get ready to dance around and splash inside that sparkling Ibiza Rocks Hotel pool. The ultimate early-season celebration lands on Ibiza for a one-off pool party on Saturday 18 May 2019 with the Tom Zanetti Pool Party. This special event is the work of UK nightlife heavyweights Sleepin Is Cheatin & Wired Events. The vacation package brand has previously visited Tenerife, Malia and Mallorca. Now it is coming to the rave capital of the world for the beginning of the season. Whilst part of the One Big Getaway party weekender, this event is open to everyone. Taking over the iconic Ibiza Rocks Hotel, it is set to bring some serious bass on top of the hottest house and tech. And where better than "the home of the pool party itself"? 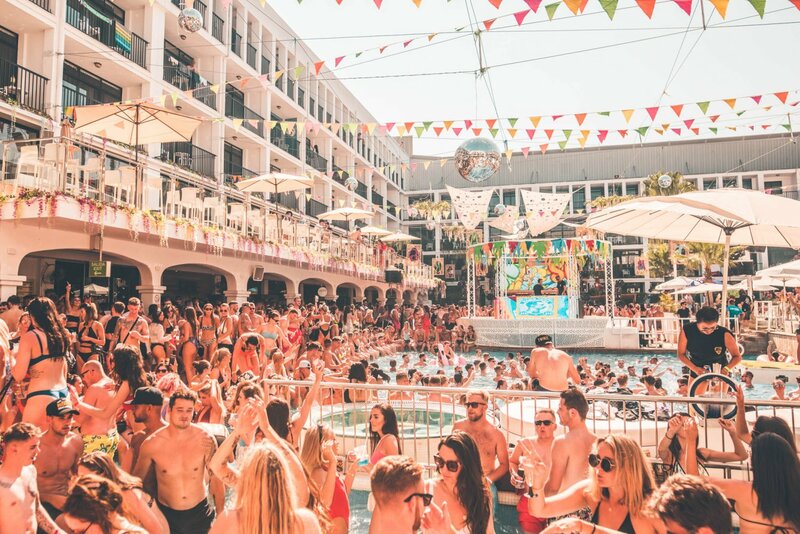 Filling the line-up for this mischievous gathering are DJs such as Tom Zanetti, Macky Gee, Jamie Duggan, K.O Kane and many more, providing poolside sounds on a hot Ibiza weekend as many other clubs open their doors.